I've never been much of a huge Drew Barrymore fan in terms of acting or following her career. It's not that I disliked her work by any means (the Charlie's Angels remake is actually a HUGE guilty pleasure for me), but I haven't followed her career much. Before reading Wildflower I knew she was 1) a child actor, 2) had issues in the past with drugs and what not, and 3) seemed to have resurface with a career in rom coms. I was eager to read Wildflower when someone mentioned to me that she actually came back into the world of acting from the business side of things...a production company. After reading Wildflower, my appreciation for Drew Barrymore has certainly increased. I enjoyed all of the stories she wrote about her in book, and I left feeling like I knew more about the woman herself rather than a compilation of her characters and page six. She struggled from day one, and while she suffered many set backs; she continued to be strong and persevere in order to do the thing she really loved...make movies. I can appreciate that, regardless of how you feel about her acting skills. 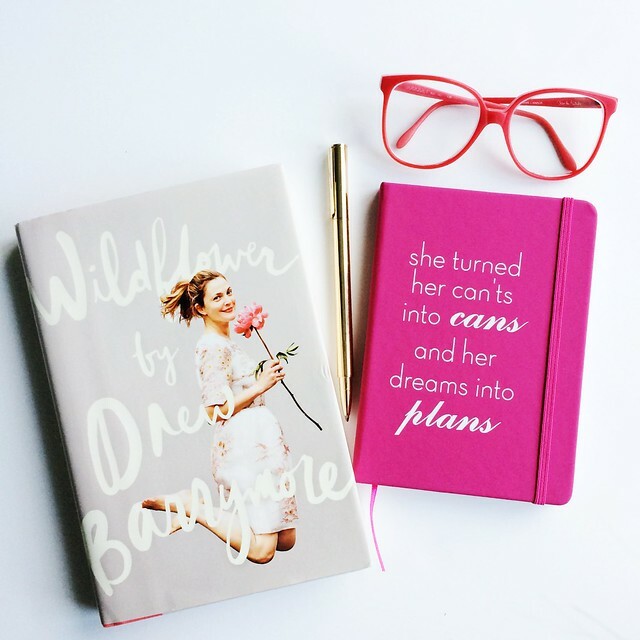 Wildflower certainly wasn't our traditional "Boss Babe" read in that it wasn't about giving advice and learning how to grow; rather it was a story of her life and the pieces in her life that shaped her into the mother, wife, friend, business owner, and boss babe she is today. I feel like I still learned from the book even though it wasn't in a traditional advice format because every story in her book had two central themes: perseverance and strength. No matter what she was going through, she managed to hold onto both to help get her to the next chapter in her life; even if she didn't know what that was at the time. She knew she had to remain strong because nobody else was going to do it for her. Nobody else was going to help her get to the top, and nobody else would be there to pick up the pieces if she failed. Most of us are very lucky that we have people we can lean on in times of hardship, but what I enjoyed from the book is that Drew showed that we could learn to lean on ourselves when we need to when we don't have anyone else.